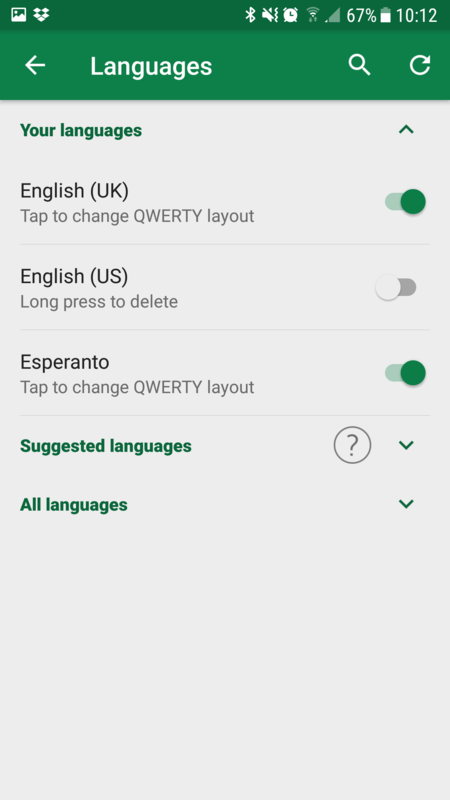 Typing Esperanto's letters on Android is easy. It's just a case of having an appropriate keyboard installed. 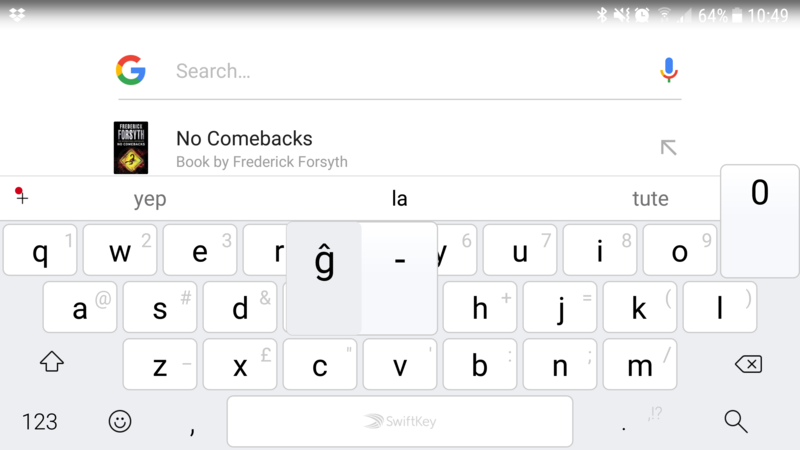 or by switching to an Esperanto keyboard. 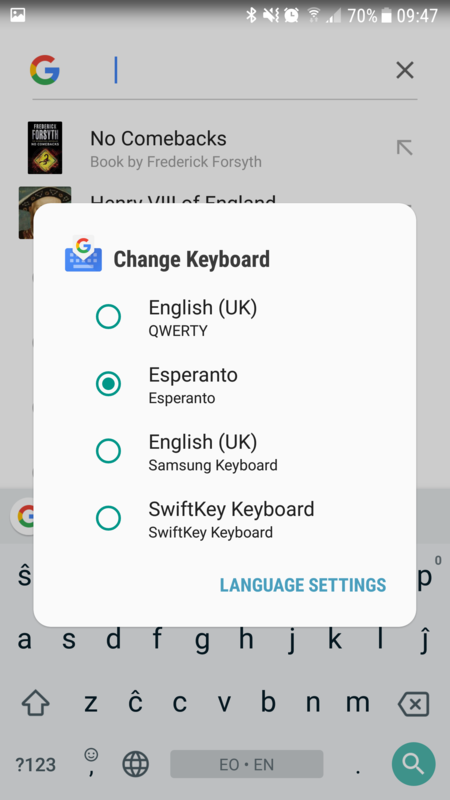 This is easy to do: you can either hold down the space bar and then select Esperanto, or simply click the globe icon at the side of the space bar to cycle through your available keyboards. 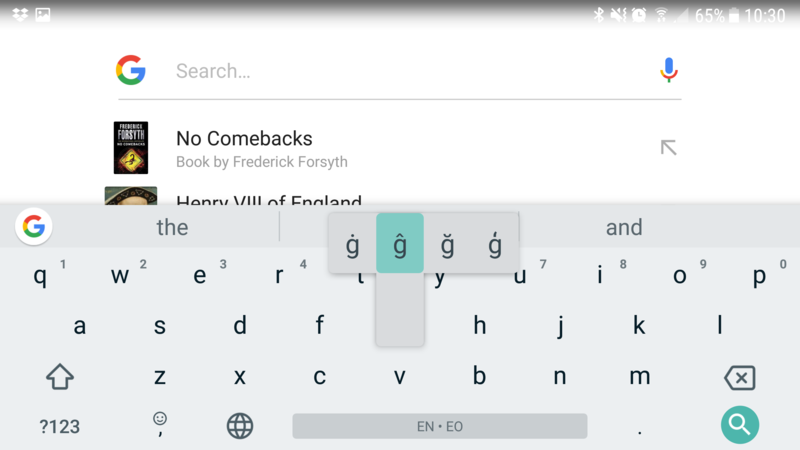 TouchType's SwiftKey has the benefit of allowing you to swipe when inputting. 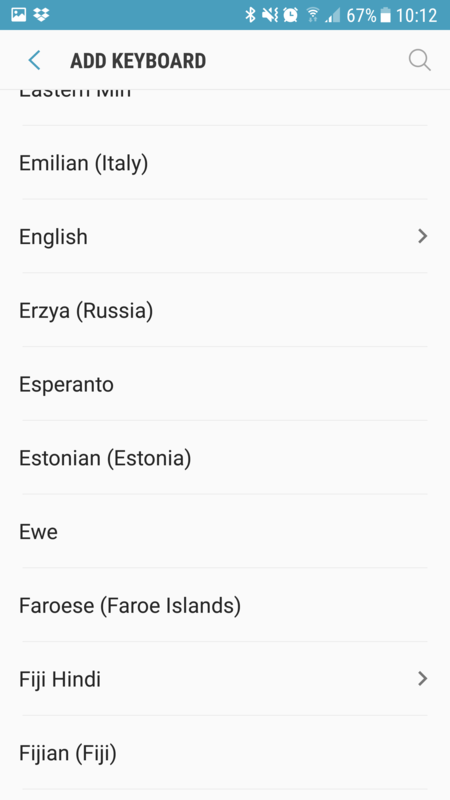 you can hover over a hatless letter to select the Esperanto one ... or simply let autocorrect pick the word out for you!